Ryan Blaney still has a chance, but it’s a slim one. Coming off a strong fifth place finish in the Playoff opener at Vegas the Team Penske driver was hoping for a solid night at Richmond Saturday. Starting fourth Blaney began falling back at the start of the race. He was soon telling his crew that his Ford was loose on entry and lacking forward drive. All he could do was hold on, finishing the first stage in 23rd. 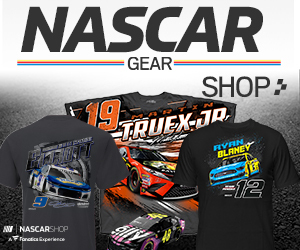 With fresher tires, and without the leaders pitting during the stage, Blaney was able to pass then-leader Martin Truex Jr. to get his lap back. He finished the second stage 18th. During the round of stops the crew again made major adjustments, but to no avail; Blaney reported the car was just as hard to handle as the first stage. 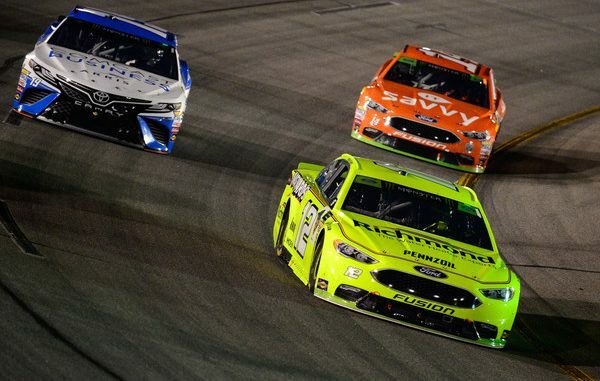 He made his final stop on lap 319 of the 400 lap race but the races only caution outside the stages 8 laps later kept Blaney from making up lost ground. He was able to take the wave-around to be one of his lost laps back, but with his ill-handling car all he could do is hold on. Blaney finished 19th two laps down and the lowest finisher among the 16 driver Playoff field. The team heads to the uncertainty of the Charlotte Roval with Blaney in 12th, still eligible to advance. However, he’s only 4 points above the cutline, so another race like he had Saturday night won’t help his cause.